The Dalston House resembles a movie set, featuring the façade of a late nineteenth-century Victorian terraced house. 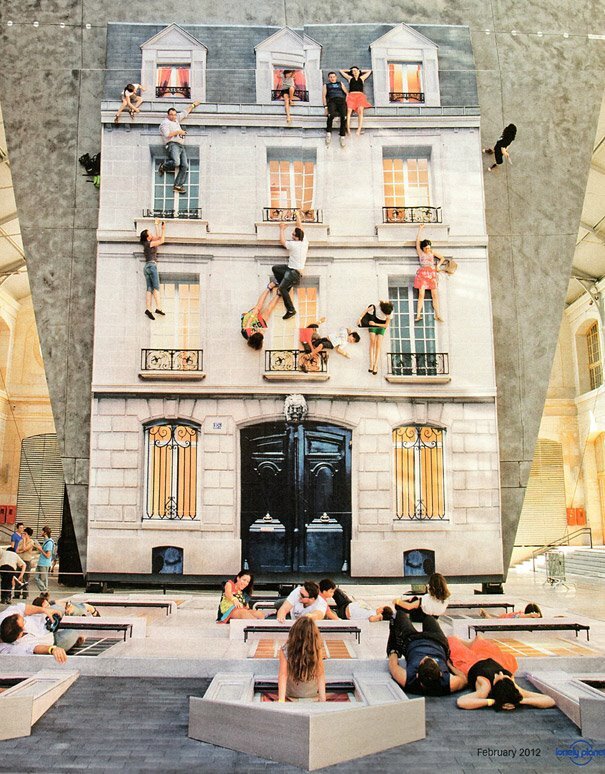 A mirrored surface is positioned on the on the ground lying life size façade, in a 45-degree angle. Visitiors apppear to be hanging of the building or sitting on window sills, by sitting, standing or lying on the horizontal surface.